Mod, which removes the fog on the map. Mod to increase the time the glow bulb “The Sixth Sense” to 10 seconds. Voice for bulb “The Sixth Sense”! Mod with angles traverse for tanks without a tower. Mod with detailed statistics for the game session. Including the number of frags. Mod to disable the screen saver when you start the game. added mod to raise the FPS. tanks at two or three rows. The contour skin tanks constricted by 25%. urn off labels and camouflage on tanks. Color icons tanks in the ears. the soul flies away tanks. Hi and thank you for the hint! I installed this, but unfortunately it changes the text also in Russsian and deletes all previous folders. How can I switch back to English and revert to the previous XVM settings? Thank you for your answer! Hi, ty for the great modpack. Just one thing bugs me….i chose the mjölnir sight for artillery and the text is in russian (just for artillery). How can i change it to english? Try use the XVM updater, download it, but click the options for ‘Show Chances’ and ‘Keep old config’. Dunno if that’ll help, but it may. No success installing, need instructions in English, can anyone help? One of the best modpacks.But i hate that the installer is in russian.Even though i understand russian,barely. Is this modpack translated to english? Why I cant Access this application on 9.5 , what Program to access it ? Auto Play or Window Exploler ? How do i reach settings for this mod??? I installed the double row tank carousel in the hangar, i want to go back to the single tank carousel… any ideas? Hey, maybe some mods for MAC please? We need this in English or German pls. Доброго дня!Подскажите у кого вообще показываются шкурки с мода! ?Или надо их отдельно скачать?Имеется ввиду шкурки для эстета! версия 0.9.7. Если показывает, то с какого лвл? i cant see win8 during battle, what i must to do ? So I keep getting this message in game telling me to check this out because I have a mod from another mod pack thats from this one and if I want to keep it up to date and what not. 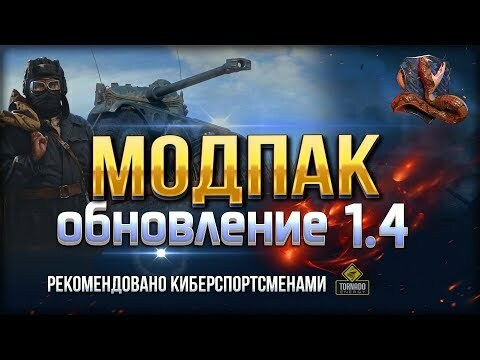 Use this one or give it a look see and maybe you will like it….. Ok Ill bite lets take a look see… The message I get is in English as I play on the NA server I go to check it out hit some youtube channel thats all in Russian. I would love to check the mod pack out always looking for something new to add to what I have or might be better then something I have. But if your going to send me a message in English twice a day could lest bring me to a English server or one that can be translated easy and a mod pack thats in English as well so we can lest get it installed or even see whats in it. Mod “safe shot” (safety latch; Предохранитель) – who invented that nonsense with toggling safe shot on/of with alt? So, if I try to look at the alternative OTM, my safe shot is gone and i can forget that in the middle of the battle. Found a solution, but I am writing here in hope that it will be changed in mod pack as well. Open it in some editor (Notepad++ I used) and change value of “toggledDisableKey” from true to false. Save it and that’s it. The shooting sound is dull in comparison to that of War thunder sound. After sound mod was changed with War thund sound mod ,the game was not progressed. Getting a thing in tanks that tells me Im using a mod from tanki, well NO im not and because of what I read here I’m not about to try it. If you want english speaking ppl to use it then it should ALL be in english. Other reason I wont use it is because of the pop up that shows in my tanks. Stop messing with MY game. How RUDE of you’s. I dont want to install protanki and I never will because of that msg that you’s keep putting on MY tanks screen. All it does is make me dislike protankin which I would think is the opposite of what you’s are wanting. Az lenne a kérdésem hogy a no scroll mire való és mit csinál? I instaled it but when i enter to game it says that there is new version and it doesnt work…. 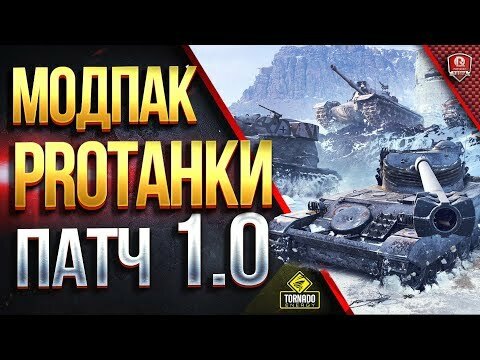 hey… I’m very disapointet of pro tanki this time, sincer 2 years i have use it but after this last update no more, no panal damage, no xvm and loots of other thing, it was the best mood for wot :(( hope u do soon one new mod update and can use it soon. Hi! I’m loving this modpack, but I’m having trouble with the HP bar. I started using the one that appears at the bottom of each player’s nickname and it works just fine. But now I tried to install the new version again but with the bigger HP bars which are “inside” the player’s nickname area, and it still shows the other one I was using. How can I fix that? idiots, idiots,idiots !!!! if in the instaling menu i chose english why the hell all ingame setting and info are in russian ? i dont want to see russian , i dont need russian , go fuk youreself with that language ! hi, u should put in pack – arty assist mode. The explanation video is in Russian, so impossible to know how to enable free cam… can anyone help me with this? Can i chance to show the name players on minimap? And what file can i edit? Ist das Mod legal oder illegal? This is nice modpack but can you put Sight (Crosshair) WGL champion 2017 . Thank you . Using the version 919.1.2 version mode will not start the battle. After selecting a tank in the garage, press Start to stop loading. Person who respect your mode. I’m always using it well. Thank you for sending me the revised complementary mode email. We’re using an Asian server. I want you to tell me how. hello! i use this mod very long time and its very good but this version (update) put me out of the game,and then dont let me in again until finish the match. Please if you can check it…!!! How to auto run mod ? version 67 of the mode is not working for me….. garage stay frozen…. i cant use barack store….. cant see tank carusel… is just frozen…..